In this tutorial we will show you how to manage the permissions for specific users on your Board in few easy to follow steps. In order to access the feature which will allow you to manage the permissions for your users you will need to login into the Administration Control Panel of your board and navigate to Permissions>User Permissions. There you will find detailed information on what exactly the user’s permissions are used for. On the same page you will find a search box called Find a member. 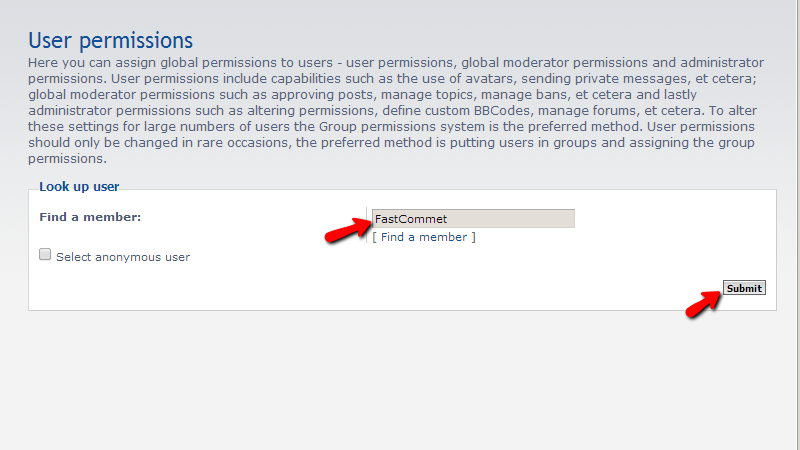 As the name suggests you will need to find the member you would like to edit permissions for. You can either directly specify the member’s name or you can use the Find a member link right below the search box so you can more easily choose the member. Once you have selected the member you will be editing permissions for please click on the Submit button so you can proceed to the next step. No that you have selected the user you will be presented with the page where you should select the role of the users which you will be editing permissions for from the Role dropdown list. Let’s say that you would like to apply all features for this user and apply all available permissions for that role. 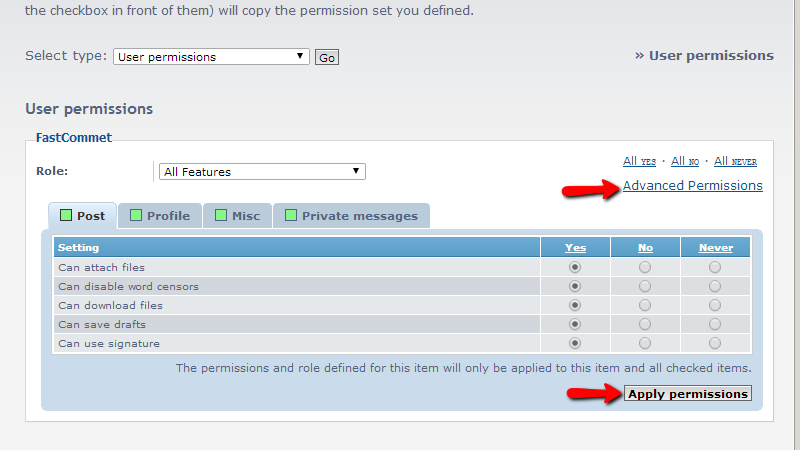 Then you will need to select the All features role and press the Apply all Permissions button. You will be then presented with a message indicating that the permissions are correctly configured! This is an additional step and you should take it if you would like to set some specific permissions for the features the user should have access to. 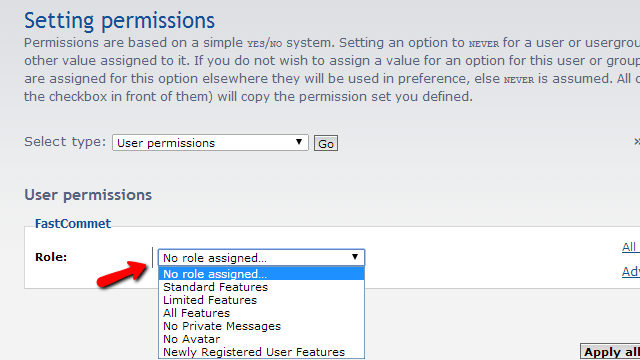 In that case again select the All features Role, but this time instead of pressing the Apply all permissions button please click on the Advanced Permissions link so you can be presented with a list containing all of the available permissions for that role. 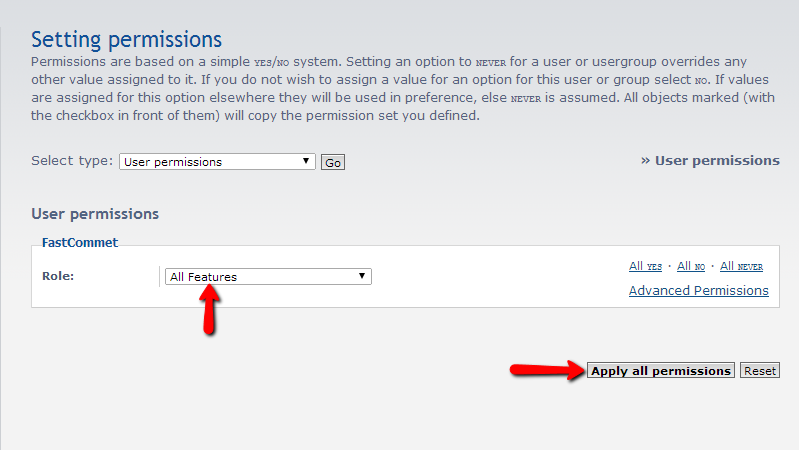 Once you are ready with the edit please use the Apply permissions button at the bottom of the newly appeared interface. That is all! 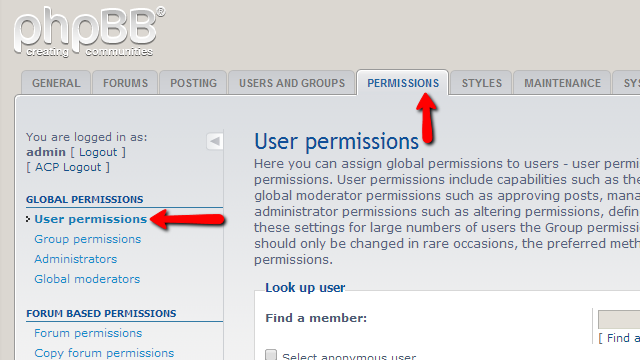 You now know how to manage the permissions for the users of your Board!